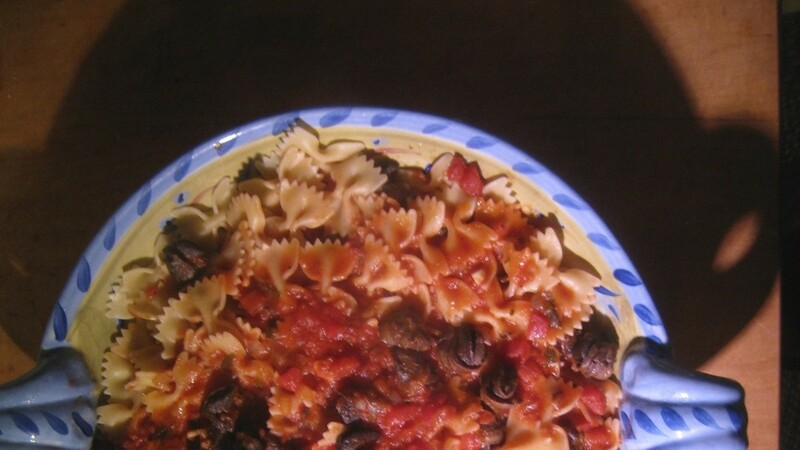 This entry was posted in Christmas Eve, Family Recipes, Salads (Insalati), Seafood (Frutti di Mare), Vegetarian and tagged Calamari, family recipes, Food, Italian, Recipes, Salads by ChgoJohn. Bookmark the permalink. Yeah!!! I got soo excited when I saw this!! I’ve been waiting for this, don’t you know!!! And I’ll be making my salad this year following your recipe…plus I’m going to try out some of your other dishes. I’m always looking to change up my menu! Great write up about the holiday…you always know how to “lighten” up the story!! Fabulous post John!!! I hope you’re enjoying a very happy holiday season! Thank you so much, Linda, and so glad you liked the post. Mom would be absolutely thrilled to see her recipe so well-received, especially from a paesana! I’m having a great holiday season, Lynda, and hope you can say the same. Many Americans have conveniently forgotten that Advent, the season which precedes Christmas is a penitential season like Lent — Mom and I were talking about this yesterday — hence the fish and fasting. In the USA people like to party from Hallowe’en straight through to New Year’s Day. We usually eat soup on Christmas Eve, or even deli sandwiches — whatever the easiest thing is that we can think of: in years past we got our tree on Christmas Eve and spent the evening putting it up before I went to sing at midnight mass. No one wanted to cook. Even going through the Catholic school system, Advent never seemed to get the recognition Lent received. Maybe that was due to the fact that Christmas was growing nearer but Advent was more Lent-light than it’s own part of the calendar — at least for this boy growing up. Still, if you’re going to end a penitential period, a 7 course seafood dinner is the way to go! That is exactly (and I mean EXACTLY) how we make our seafood salad! Wonderful and I love how those cunning Italians got round the rules 🙂 I adore brodetto – maybe that could be our Christmas Day starter…still trying to decide. I´m perplexed how a Catholic country here like Spain (well, it was) got round having such a HUGE blowout meal (meat included) before rolling off drunk and stuffed to the gills to midnight mass. Probably “paid the fine”! I absolutely love calamari and your Mom’s calamari salad is a feast for the eyes and tummy, John. Thank you so much for sharing it with us. I’ll have to give this recipe a go over the holidays! Although we are not Catholic (my Dad was, non practicing) my Mom always made a whole roasted fish along side the turkey on Christmas eve. It was usually a Carp which we kids never got the taste for! And thank, You. Eva. Mom would be happy to see her recipes published and used. She wasn’t the type to keep a recipe secret or to not give someone the complete recipe. It just wasn’t her nature. A whole roasted fish and a turkey on Christmas Eve? That, too was some feast! It surely was, John. When you said that your Mom wasn’t one to keep a recipe secret reminded me of my Mom’s aunt who refused to give her a recipe because she felt once we had it we wouldn’t visit her. Mom got the recipe anyway and we still continued to visit! Today’s salad and the fried calamari are so easy to prepare that, once you do, you’ll wonder what took you so long. The shrimp are fantastic, too. Grandpa knew what he was doing! Great post – I love your advice on translating your mother’s recipe into reality. Your insistence on “tasting” as you go along is so often forgotten by many of today’s cooks. This post gets filed for future use – it’s packed with good stuff. I second everything Linda said. I was so stoked to see this. I make something similar with my leftover calamari. 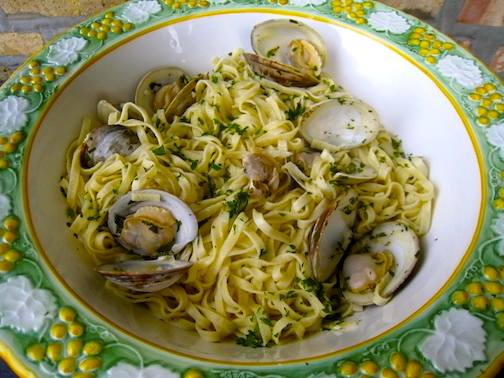 I stuff mine and cook them in marinara, do clams and linguine too. I may not be able to cook this Christmas Eve, still trying to figure it out. So I’ll live vicariously through you two. I absolutely love stuffed calamari, either in a marinara or plain. I would bring some to Zia, which she would stuff for our dinner. Thanks to modern technology, I could take pics of the platter and send them to one of her sons, another aficionado. 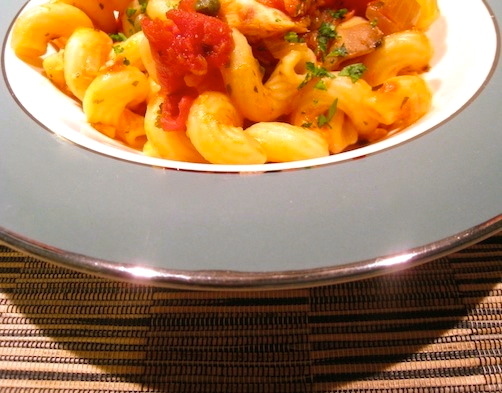 For some reason, that picture-laden email made the calamari dinner oh so much more enjoyable! And if you cannot cook on Christmas Eve, cook the day before, Christmas Adam. Fantastic! I am fortunate to have a brother marry into an Italian Family. I’ve been invited to their “Feast” the last decade or so. 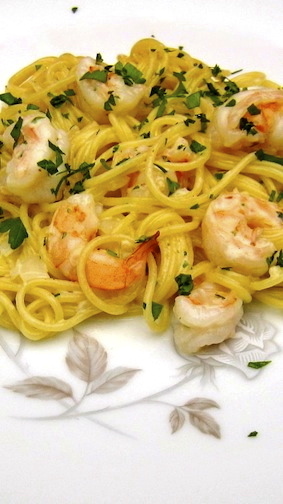 The Insalata di frutti di mare is always my favorite. My brother’s MIL however, is somewhat coy about the recipe. This gives me a big jump forward. Thank you John! Thank you, Claire. This is my kind of recipe. A few ingredients, fixed simply, create a great dish. Mom had a winner with this one! This is a beautiful salad – Ritchey would love it! I’m not sure about Christmas Eve, but I will surprise him with this at a later date! The green and red peppers make it so festive for this time of year! I always enjoy your stories and memories from times long ago – isn’t it good to hold those in your heart again? Thanks for sharing not only your wonderful recipes but your memories! Thank you, Phyllis, and yes, you’re right. Jotting down these recipes is a real stroll down memory lane, only some of which I write about. It’s a part of the blogging process I did not expect but one I thoroughly enjoy. Thank goodness that the feast is all fish. Even as light as fish is, it is hard doing seven courses. I like your idea of counting the one dish as five and going from there…much more manageable. Great post! Thank you, Karen. I’m all for taking a shortcut in the kitchen when possible and a 7 course dinner just isn’t feasible in my home. I want to enjoy my guests’ company and can’t if I’m serving and clearing 7 courses worth of dishes. 2 courses, on the other hand, are easy enough to prepare and serve while still leaving plenty of time to chit-chat. I’ve been asking the local Italian-Americans for years about the origins of the 7 Fishes, but all they knew was the part about the Sacrements…I’m so glad you could flesh-out the rest of the story! A pot of chili would be great for an evening like Christmas Eve. Filling, warming, and very helpful for those who may be celebrating a bit too hard, a nice bowl of chili would be welcomed by most guests. And very easy for the host to tend without being stuck in a kitchen all night. What a good idea! 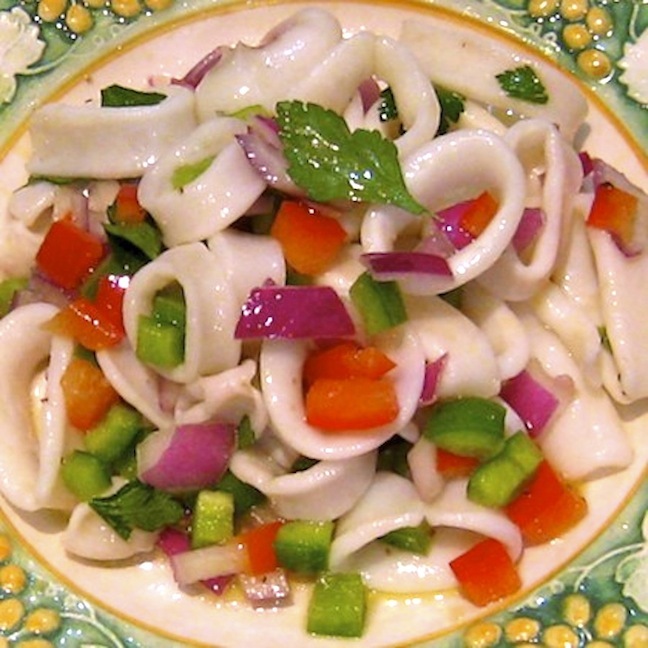 Calamari is one of those dishes that people won’t eat because of its look, tentacles and all. The thing is, as you now know, it a great little dish, whether served like here in a salad or deep fried as an appetizer. There are, of course, other preparations, too, but I honestly don’t know of anyone who still doesn’t like calamari after tasting one. It sounds like your family was a bit more strict as far as the Church was concerned. We went to Mass and did all of the usual stuff but not much more. Then again, the old 2-flat was the former convent for the parish nuns. Maybe my parents thought that any additional spirituality that was needed would come to us via osmosis from the building. Oh, yes, Celi, a convent. We Bartolini are like an onion and I’ve just started to peel back the layers. Zia will get a kick out of hearing that! That calamari salad is the perfect introduction to any meal I would think. I have never cooked calamari at home and since I have seen it popping up quite alot AND your method appears very simple, I believe I have it in me to go for it. Thanks for the motivation John. I also love the little cultural note. I am not Catholic and really didn’t know why many Catholic people eat fish on Christmas eve. I know I must seem totally ignorant but it’s just not what I was exposed to. I like to better understand different religions and cultures so I truly appreciate the added information and that it always comes with personal anecdotes. It makes it so enjoyable a read. Have a great week! Thank you, Geni, and yes, this salad makes a great starter for many occasions. You are such a talented cook that you would have no trouble assembling this salad in minutes. It really is that easy. Mom wouldn’t steer you wrong! You are so right about being exposed to differing faiths and cultures. In my youth, people were much more insular and we learned very little of others because we rarely interacted with them. I think things today are much different, thankfully. Enjoy your week, Geni! My mouth is watering at all of your seafood recipes…and this salad! It looks wonderful. And I can’t wait to see your salted cod recipe. I’ve red so much about salted cod in the last few months. 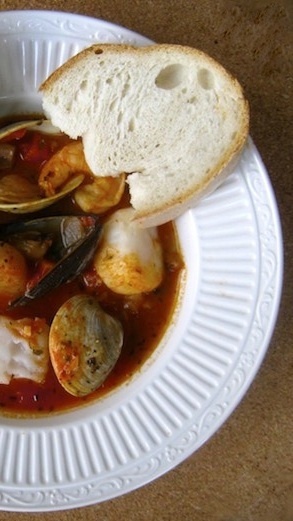 🙂 Great post too – I really enjoyed learning the history of the 7 fishes meal. Thanks John! ps, could you please put my name next in line under Cecelia’s for adoption? OK, first off. You MUST try to prepare calamari. It is so easy and the results so good you’ll wonder why you’ve not tried to prepare it until now. Guaranteed! What a lovely post. My father would come home Christmas eve with a paperboard quart containers with oysters and their “liquor” and my mother would make oyster stew. When they lived in Philly he would get them at the Reading Terminal Market. We kids never appreciated their practically swooning over this flat plate bowl filled with white liquid and those rubbery looking strange oysters. My sister loves them but my brother and I don’t. We ate soup and sandwiches if you can believe that. I shared on FB and I know your writing and recipes will be enjoyed by many. In fact, I am forwarding it to NYCity right now. Thanks John, You are really good about answering all your commenters, too. I am going to get better on that—in the new year!! Thank you, Ruth, for your kind comments. I’d forgotten all about those containers of oysters! Like at your house, they were the territory of Mom & Dad and I’ve no recollection of what was done with them. Thank you for sharing my blog on Facebook. I’m lost when I’m on that site and need to have a Facebook tutorial with someone. It’s just that everyone I ask says they don’t know themselves what they’re doing. We are rapidly becoming our parents and it won’t be long before our DVR timers continually blink 0:00. The goodness of this post kept coming and coming. Many thanks for the explanation of preparing calamari, for as much as I enjoy eating it I’ve never prepared it at home. Thanks, Jed. 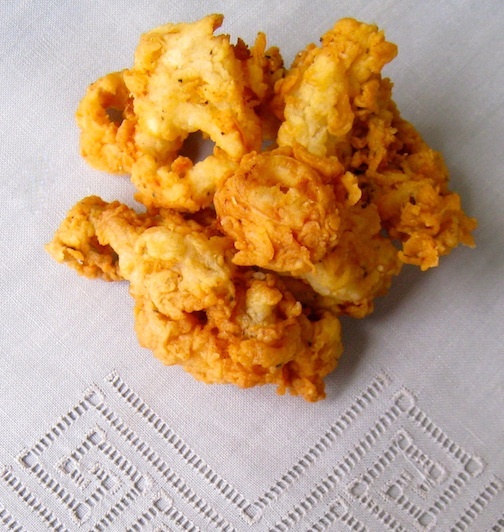 Both of the calamari recipes that I’ve posted are ridiculously simple. You’ve read the salad recipe and now check out the fried calamari recipe. You will be surprised how easy both are to prepare and with fantastic results. Saluti! Thanks, Debra. Those Christmas Eves were really special and we’ve all got plenty of warm memories of them. It has been something, to read this post’s comments and learn how everyone’s families “handled” Christmas Eve. As a child, of course, I thought that everyone ate plenty of fish on Christmas Eve. It wasn’t until years later that I learned that people followed other traditions. Imagine that! Oh how I wish I could have eaten in your home on Christmas eve! What a wonderful tradition even if you have down sized it to just one dish – your mom’s salad looks amazing! It really was special, Mandy, and you would have been very welcome. It wasn’t unusual for people to just drop by, and room at the table was always made for them. We lived on the same block as the church. It was fairly common for people to stop by after midnight mass, if the porch light was on. (It was on all night!) Thanks, Mandy, for commenting and have a great week! That is the most beautiful salad and the most beautiful plate…they both say “Italy” in the most lovely way. 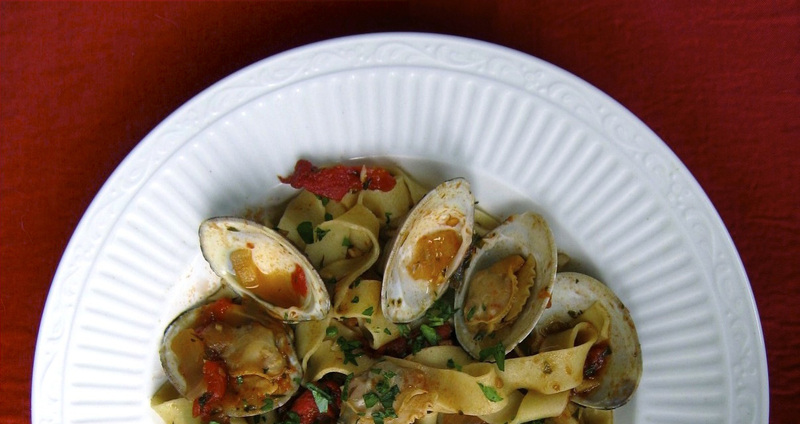 I love your version of the story of the 7 fishes, a feast I’d certainly heard of, but haven’t experienced and really didn’t know the history of as I’m not Italian…but could be happy being adopted! Also love the tale of your dad coming home with all the seafood on Christmas Eve….lucky you…and your mother’s charming recipe in her “voice”…and your recipe, and, and, and! 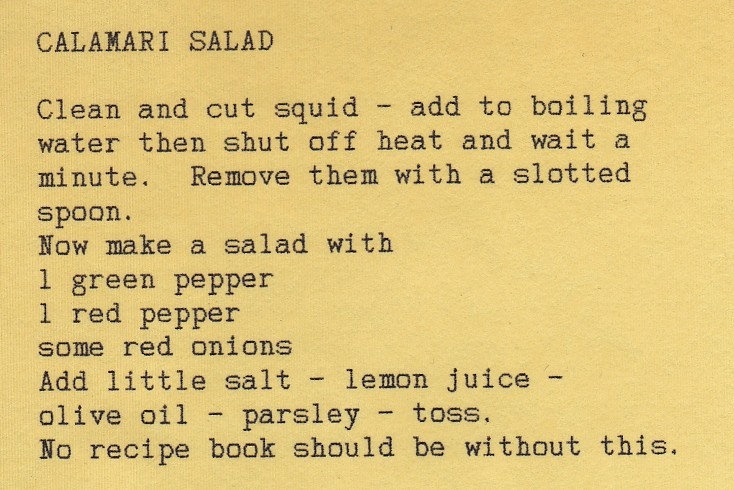 I’ve cooked calamari several times, but never made a salad. We love it in a salad and have a friend who is addicted to calamari salad, so I may have to try out this lovely and light sounding version. Thank you! And thank you for so complimentary a comment. Christmas Eve was — and is — a special time for many and I’ve some great memories of more than a few of them. Your friend is going to love this dish and you’ll love serving it. 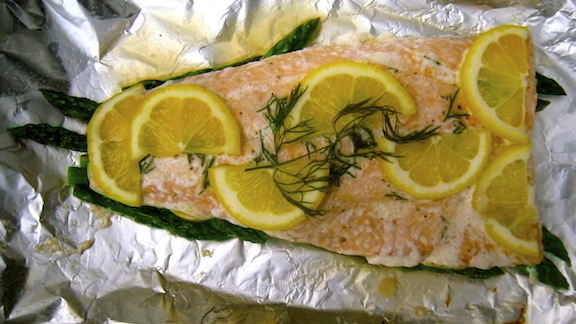 It looks bright, tastes fresh, and can be prepared in minutes. Just remember to leave it in the hot water for only 1 minute and the calamari will be tender and not at all chewy. Good luck! Now, now, now! There’s absolutely nothing to be intimidated by. The one thing that can be said of my family’s recipes is that they aren’t at all complicated. The ingredients are commonly found and the recipes are easy to follow. You’ll have no problem following any of them. Darn, I forgot about the Puttanesca sauce. I was always planning on making that back in the summer but I never got around to buying a red light bulb and red lace curtains for the boudoir window. Oh well, there’s always next season. Now about this calamari salad…Me likes my seafood…but, as you know, I’m not a cook. So “1 minute or 45” just confuses me. ‘Splain, Lucy. I’m really not thinking your suggesting 45 minutes…could be a typo, and I don’t blame you, what with Max at your coattails waiting for a sausage to fly out of a pot or sauce to drip from a spoon. 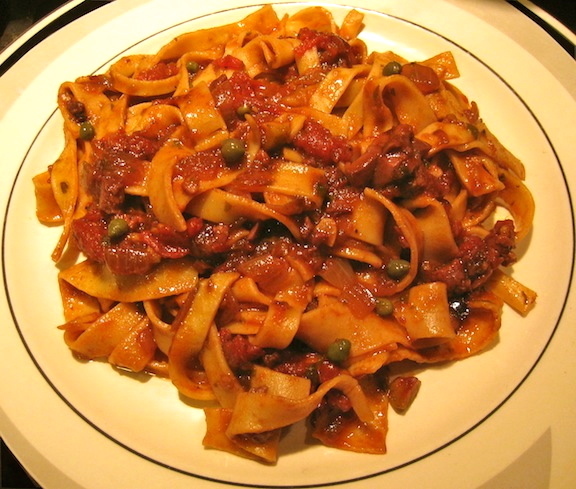 Wow, all those pasta recipes…my, how a year has flown by (humming ‘Sunrise Sunset’). Not a typo. For most recipes, either you cook calamari very quickly, in a minute, or let it go for at least 45 minutes. (There are exceptions but I’ll deal with them in a later post.) Just follow this recipe’s instructions and you’ll be rewarded with tasty, succulent rings of calamari. Let them cook too long and you’ll end up with rubber bands. And if you’re looking for calamari, head to one of the larger Asian groceries on Argyle, in the frozen foods section. They’re vacuum-packed and ready to go! Reading thru the comments here, I have to agree with Mandy. The calamari salad really does look fabulous. It almost jumps out of the photo and onto my table. Yeah, Mom hit this one out of the park! Your recipes look amazingly similar to my dad’s side of the family. My mom doesn’t like seafood so growing up we rarely ate it only on Christmas eve when my dad or his side of the family would make the dishes but for some reason I think we always had more than 7 dishes. I have to have my dad write down his recipes, so my sister’s and I can carry on his wonderful fish dinners. I cannot encourage you enough to sit with your Dad to get his recipes — the exercise turns out to be so much more than that. When Zia and I talk recipes, all kinds of forgotten anecdotes are brought up and I’ve learned a great deal of our family’s history. It’s a part of the process that was totally unexpected and is very rewarding. Thanks for droping by my blog. Now I’m off to check yours out! Your writing is always to entertaining. I had no idea about Christmas Eve being a day when Christians could only eat one meal and it couldn’t be meat. Love the way the Italians got around that issue. Good for them! Thanks for the kind words. Prior to the mid 1960’s, the Catholic calendar was filled with days where adults were expected to fast (eat one main meal) and everyone, children included, to abstain from eating meat. Chritmas Eve’s Feast of the 7 Fishes was the only time, to my knowledge, where the Italians really pushed the envelope. And I’m so glad they did! That was meant to be ‘so’ entertaining. It’s very early in the morning here. That is my excuse. What a wonderful banquet of seafood dishes…Oh how I wish I was in Italy for Christmas Eve, we always have baccala veniciani …delicious, I’ll wait and see your families recipe. I really have to write on those wonderful recipes I onced cooked, its something about cooking an Italian meal in Italy…it’s just not the same on Australian soil!! I’ve never traveled over Christmas but, if I were to go somewhere, Italy would be at the top of the list. My Uncle, who returned to Italy back in the 60’s, would agree that food does not taste as good anywhere as it does in Italy. He did not like/trust our American methods for farming and growing livestock and very much preferred the Italian way. Hello there, I’m new to your blog but for someone reason I feel I should have been here a long time ago… I love the story and recipe. I had 12 years of catholic education so am familiar with these traditions (I don’t tend to adhere to them) but this would be a wonderful excuse to feast on calamari! I’ve never had success with is previously. Usually ending up with the rubbery texture you mention, but maybe with the 1 or 45 minute rule I could have some luck… and now I’m hungry! Welcome, Aimee! Those traditions were wonderful, although they are now long gone. Mom’s instructions for cooking the calamari for this salad are virtually fool-proof and I think you’ll be very pleased with the results. Thanks for stopping by and taking the time to comment. Have a great Christmas! This was my life too! Love the calamari and it reminds of how I haven’t prepared it in a long time; thank you! Gosh, it been years since I’ve had a calamari salad, and much, much longer than that since I’ve made one myself. In fact I forget how I made the last one, but I do remember it having peppers, onions, and olive oil like yours. 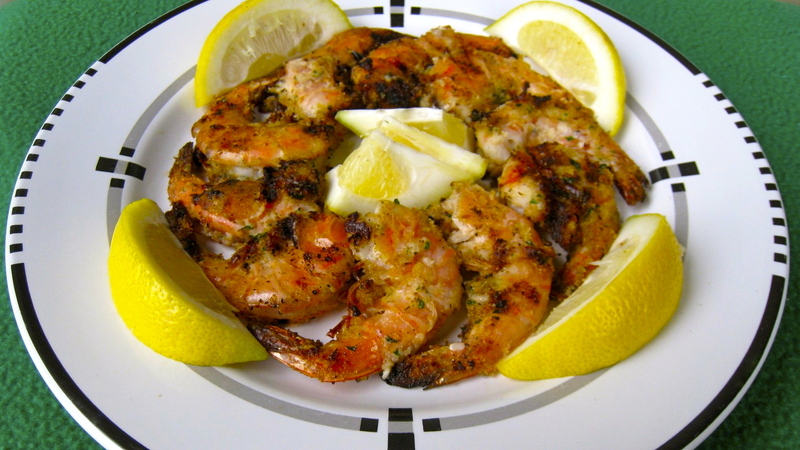 I believe I substituted wine vinegar for the lemon juice, and I know I had garlic in it. Probably some red pepper flakes as well. I need to make this again! Good stuff — thanks. Your modifications sound great, John. Mom was not a fan of pepper at all. In fact, she hated it and only used it to please my Dad. There’s no way she would have added red peper flakes to anything, let alone her calamari salad. Beyond that, it is such an easy salad to prepare — and so tasty, too. 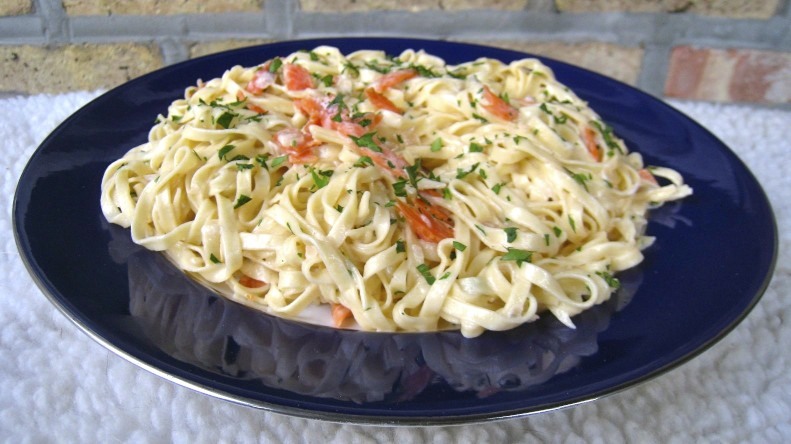 I’m glad this post reminded you of a dish you once made and hope that you’ll make it again now. Thanks, John, for taking the link and commenting once you got here.